This is a Entrenching Tool with Mesh Bag. . 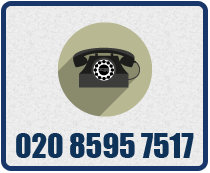 Ideal for Regular Forces, TA, Cadets, Hiking and most outdoors activity etc. It folds into Three Sections to fit easy into the Mesh Bag. 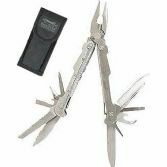 The Tool when unfolded has a screw locking system. (Once open turn the grip on the tool to lock it into the open position.). The entrenching tool come in colour Black. Approx Size Full Open Length - 57cm Full Folded Length - 22cm Shovel Blade Length - 20.5cm Shovel Blade Width - 15cm One side of the shovel has a serrated saw edge to help with digging The entrenching tool with fit into a large webbing pouch or pocket of a burgen. 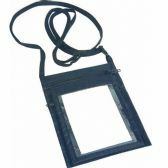 The mesh bag has a draw string top and locking toggle. You are Purchasing a Jack Pyke 20 Function Stainless Steel Muti-Tool Includes:- •Pillars •Knife Blades •Saw Blades •Spanner •Screwdrivers •Files •Can Opener •Measure •Wire Cutter Comes with a Pouch and One year Guarantee. 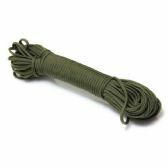 A must have bit of kit for anyone in the Hikers, Hunters, Fishermen,Scouts, Cadet's T.A or any Arm of the Armed Forces. 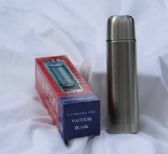 You are purchasing a Brand New Boxed Stainless Steel Vacuum Insulated Flask and Mug. It is made from Stainless Steel in side and out. It has a double wall.